One East Side wall is covered in etchings dating back at least to the 1940s and likely earlier. Published March 21, 2019 at 10:03 a.m. 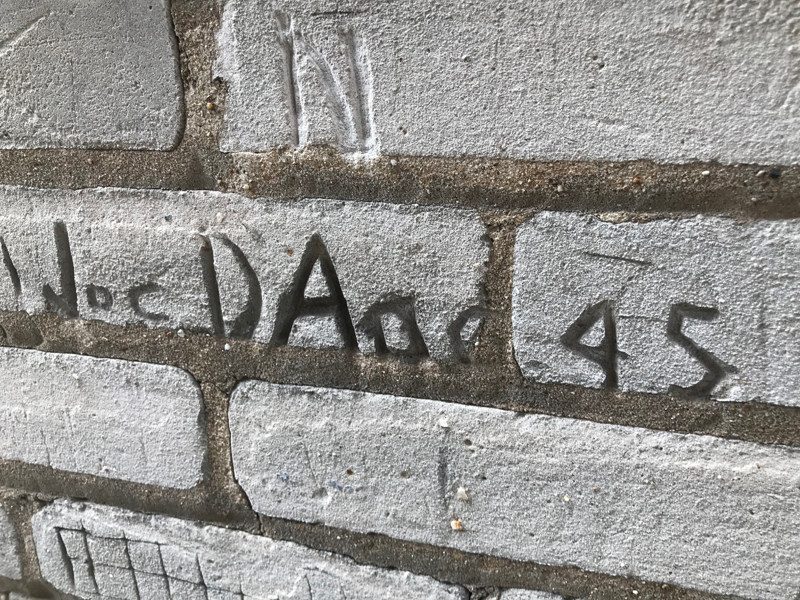 The message arrived yesterday, in the wake of the revival on Facebook's Old Milwaukee group this week of a post I wrote about hidden Milwaukee graffiti. There's more to be found in a walkway between a retail building and a home on Van Buren Street, near Brady Street, it said. I dropped what I was doing and went over, following Steve Bertolas-Jeske's tip. "I think Frame & Fabric is still the business on the corner. 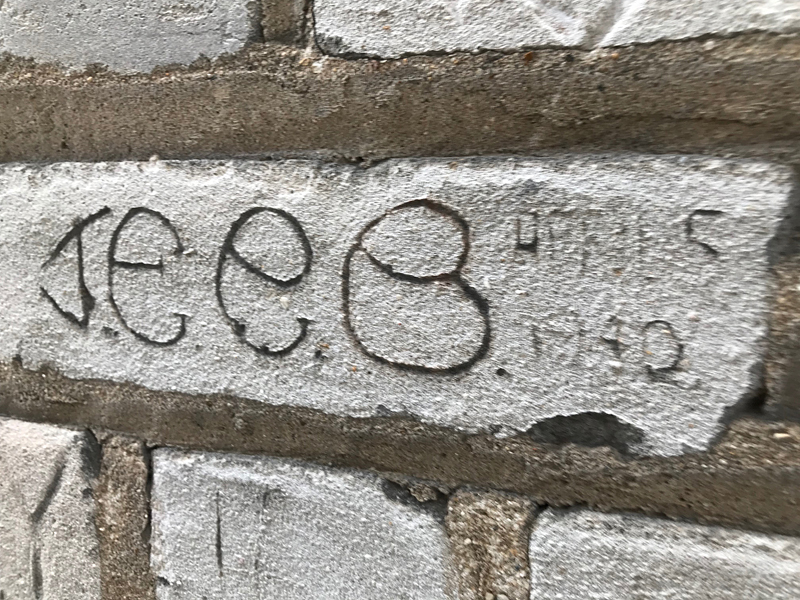 If you go between that building and the duplex at 1607-1609 N. Van Buren St., there you will find some very old graffiti," he promised, and he did not lie. 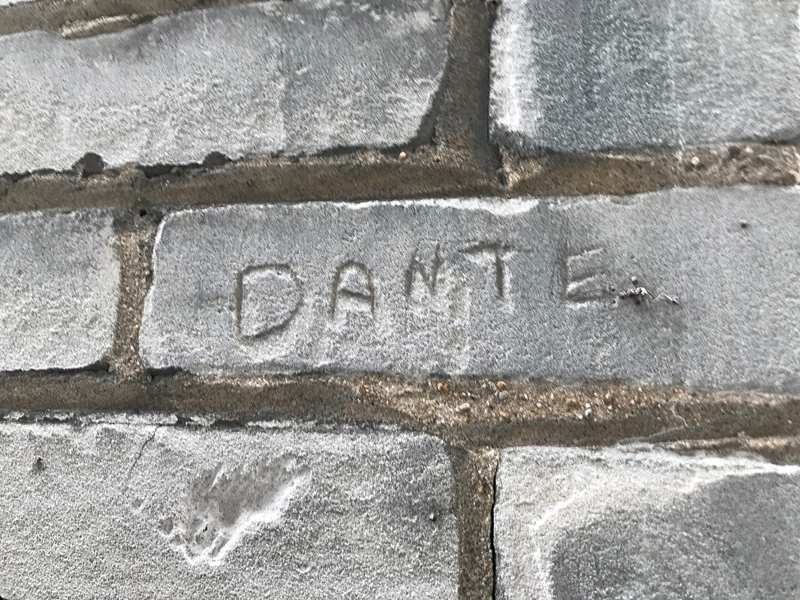 Much of the brick that can be reached by human hands without a ladder is etched with names. Some legible, some not. Some clear as day, some slightly visible but slowly being erased by time and the elements. Some are dated, some are not. 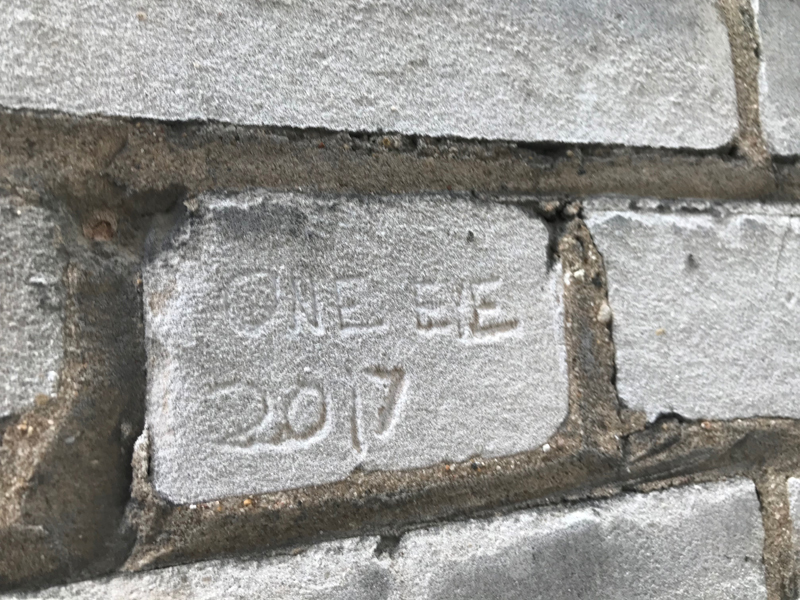 "Someone must have discovered that the brick on the building next store was soft enough to carve into with a nail," Steve wrote. "Many of the original carvings still remain, but some have been lost to the elements." 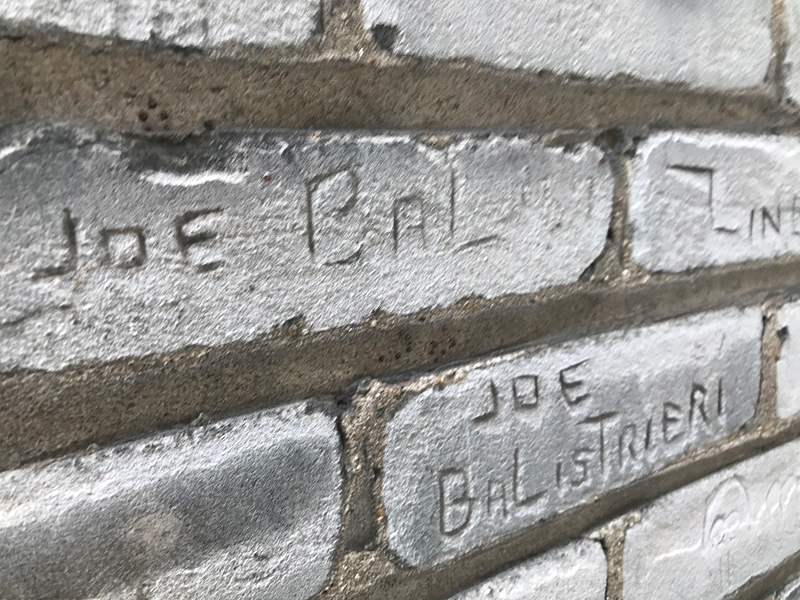 One brick reads "Joe Bal" and just below it is another etched "Joe Balistrieri 59." Just below that one can make out that classic World War II-era image of Kilroy and his long nose peeking over a wall. An earlier one, dated 1943, bears only the initials R.Y. One dated two years later starts with a "Joe D'A" but becomes harder to decode after that. 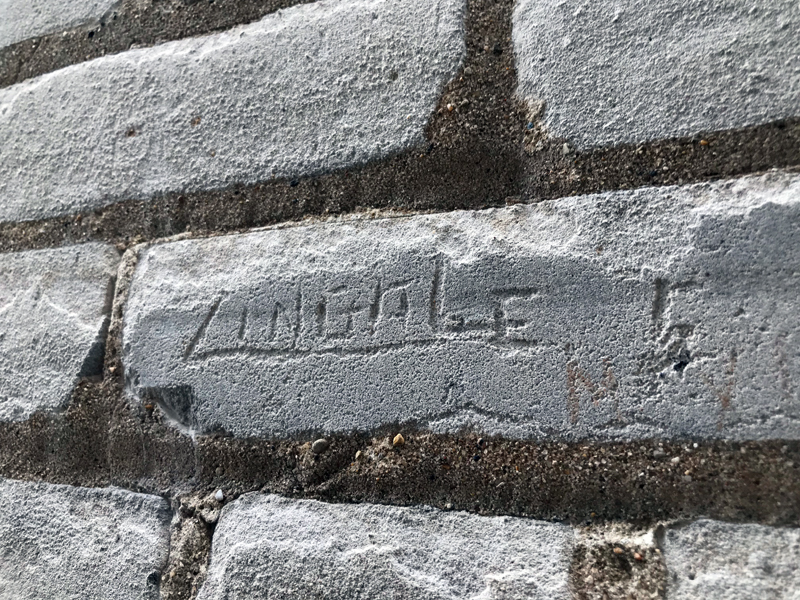 A similarly aged one reads only, "Zingale," a surname still represented in Milwaukee. 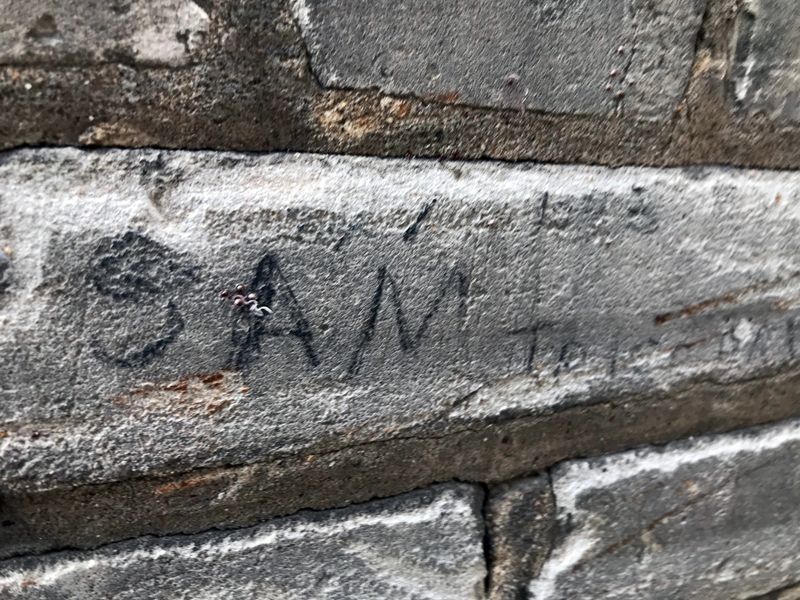 There's a "Sam" that looks pretty old and one dated April 5, 1940, that appears to read "J.E.e.B," and an undated "Dante." Etchings are dated in the 1970s, '80s, '90s and right up to at least 2017, when the evocatively named "One Eye" immortalized himself or herself on the wall. 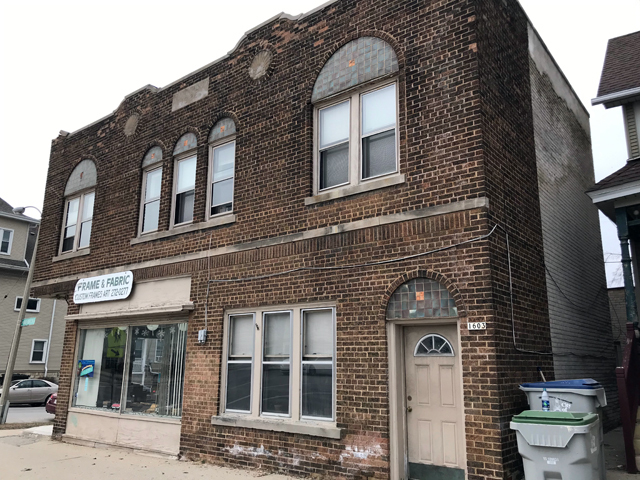 "My great-grandma, Anna Bertolas, ran a boarding house out of 1607 Van Buren for decades," said Bertolas-Jeske. "The boarders, young Italian men from the northern Italian province of Trentino lived there and made the carvings. 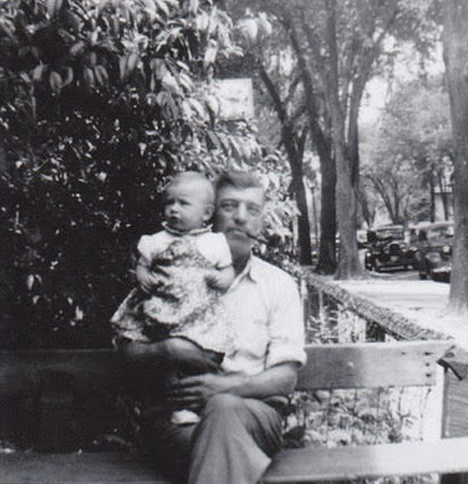 "Before Van Buren was a four-lane road, it was a nice tree lined street. The men would sit outside on a bench and smoke and drink." Though when I asked an Italian-American friend whose family grew up in that area about the graffiti, she could easily conjure the image of a lively Van Buren Street that Steve painted, she had no idea about the graffiti. 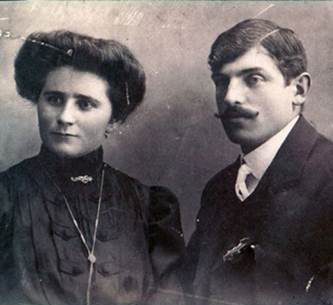 When Anna and Louis (whose birth name was Romedio) Bertolas were born – in 1892 and 1889, respectively – in the mountainous Trentino (or South Tyrol), it was part of Austria, though it was culturally and linguistically Italian, and indeed in 1919 the region was absorbed into Italy. The young couple arrived in New York in 1912 and Louis worked digging subway tunnels. 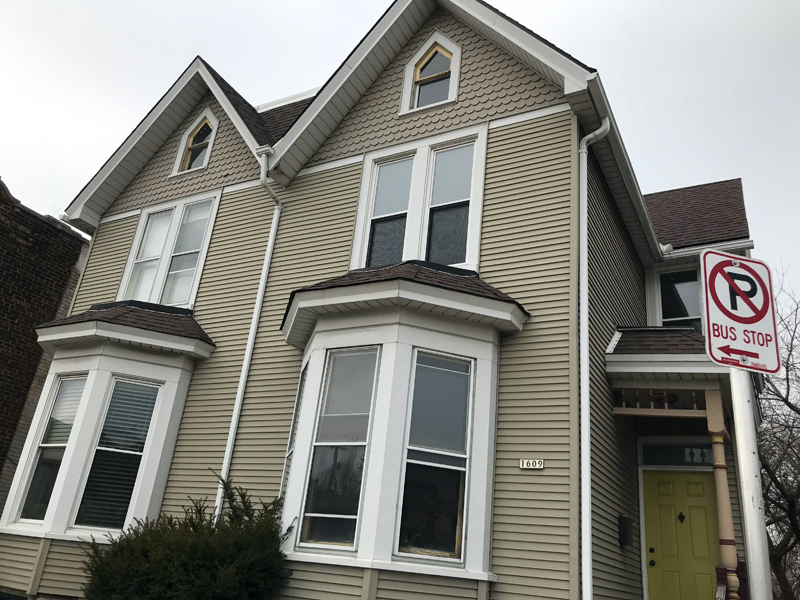 The couple had three sons there before heading to the Upper Peninsula in 1918, settling in Danville to work in the mines, like many Italian immigrants, especially those from the northern areas. While Louis worked as a miner, while Anna raised the kids – two more were born in Michigan – and tended to the boarders, of which there were seven living with the family in Bessemer in 1920. All but one had arrived around the same time as Louis and Anna (1910-12) and all were from the Trentino. The taking in of boarders was common among Italian immigrants across the country. Young men would arrive, needing a place to live before either returning home to live in Italy (about half of all Italian immigrants repatriated), or staying here and starting a family or bringing over family from back home. The family arrived in Milwaukee in 1926, where more children followed. And more boarders, too. 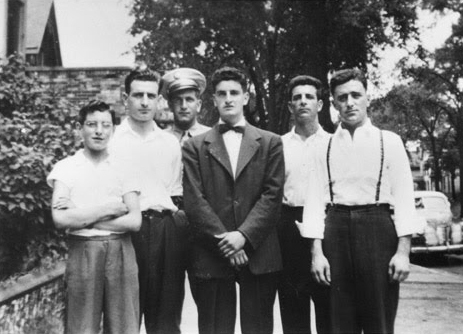 The six sons of Anna and Louis Bertolas. The 1930 census shows four men (including one that shared Anna's maiden name of Yob) living with the Bertolas clan in the Queen Anne duplex on Van Buren Street, but by this time Anna had some help in the form of 22-year-old Irene Favero, listed as a servant. Steve Bertolas-Jeske said that the boarding house operated from the 1930s until the 1950s. According to the 1940 census, however, Louis was working at the time as a laborer on an unnamed "underground tunnel" – his great-grandson says Louis helped build sewers – and the Bertolas were by then living alone with only three sons still left at home. No boarders were listed, though perhaps this was nothing more than a brief lull in the business. Later in the decade, Louis began a seven-year run as a maintenance worker at Nash-Kelvinator Corp.
Louis Bertolas with his granddaughter Antoinette. In 1951, Louis died after a long illness, and Anna passed away in 1969, leaving a large family – Steve said the Bertolas' six boys have 135 descendants, most of whom still live in the Milwaukee area. 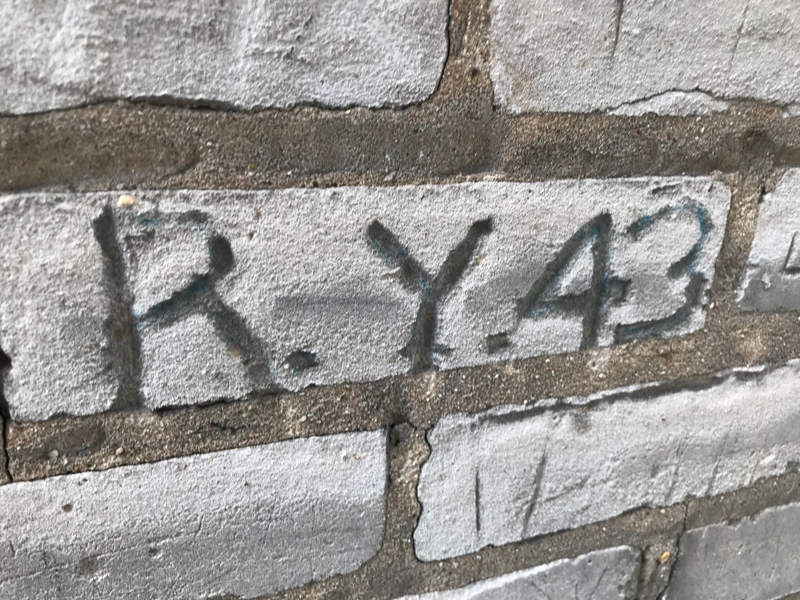 They also left a little piece of Milwaukee immigrant history nestled into a narrow walkway in the home they occupied for decades. Bertolas family photos courtesy of Steve Bertolas-Jeske.